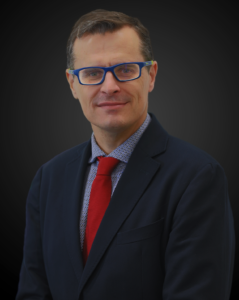 I am pleased to announce that Dr. Javier Pérez-Ramírez of ETH Zurich is the recipient of the 2019 Paul H. Emmett Award in Fundamental Catalysis, sponsored by W. R. Grace & Co. This prize is awarded biennially in odd-numbered years. The award consists of a plaque and an honorarium of $5,000. The plaque will be presented during the closing banquet ceremonies at the 2019 North American Meeting of the Catalysis Society. Dr. Pérez-Ramírez will present a Plenary Lecture at the 2019 North American Meeting of the Catalysis Society (NAM26, in Chicago). The Paul H. Emmett Award in Fundamental Catalysis recognizes and encourages individual contributions in the field of catalysis with emphasis on discovery and understanding of catalytic phenomena, proposal of catalytic reaction mechanisms and identification of and description of catalytic sites and species. The 2019 award recognizes Professor Pérez-Ramírez for significant contributions to the design of catalytic materials and process concepts to solve energy, resource, and environmental challenges of society at large. He has developed catalysts that enable pioneering selective routes for CO2 hydrogenation to methanol and halogen-mediated functionalization of natural gas components, as well as for conversion of renewables to chemical building blocks. He has advanced techniques for nanostructuring of noble metals in the form of defined ensembles or single atoms. This has enabled key sustainability targets, such as the avoidance of harmful modifiers for liquid-phase alkyne hydrogenation. The thread of his research combines creative discovery with advanced structural and mechanistic understanding, emphasizing the bridge between the molecular level and application at the technical scale. For the design of innovative catalytic processes to address energy, resource, and environmental challenges. Published on November 13, 2018 . Posted in Award, News.